So happy to share that last night Melissa Bickford asked me to join her Just Dandy Studio Creative Team for a 3 month term. As I mentioned in my post yesterday (before I knew about the Team - really! ), I love the items in her shop -- the colors alone lower my blood pressure. Plus, polka dots! 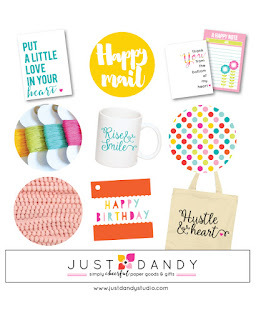 The "tagline" in Melissa's shop is "simply cheerful paper goods and gifts." What a testament to Melissa and her approach to crafting and life. Can't wait to get my hands on her products and hope I do them justice. Thanks Melissa! Woo hooo! Congrats and have FUN!! Well, congratulations! I've been to the shop and I'm curious as to what you'll be sharing. 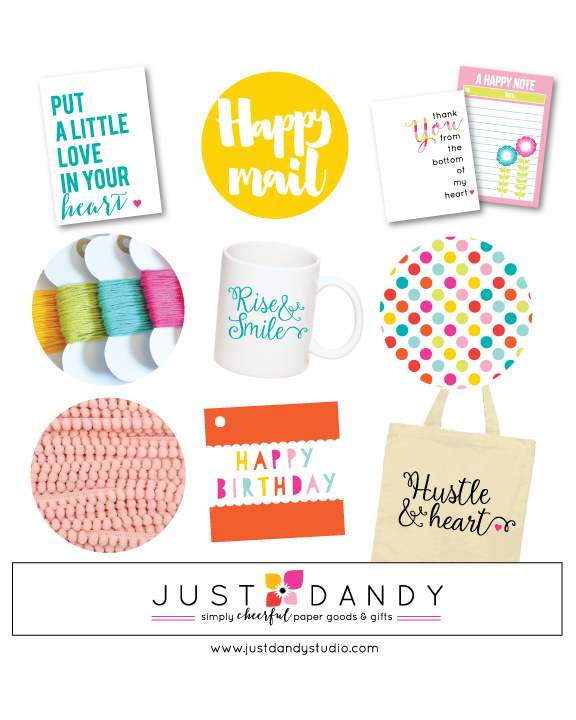 Heading over to the Just Dandy Blog now. What fun!